This article explained detailed information on How to fix Invalid Imei / Unknown Baseband version on MTK devices, how easy is this check out the below instructions and fix out your invalid / unknown IMEI in seconds. The method below to fix your Android invalid imei works for both rooted and unrooted devices. Your Android Device must be an MTK based. Download Mobile Uncle Tools on your MTK Android phone. Navigate to CDS Information and then tap on Radio Information. 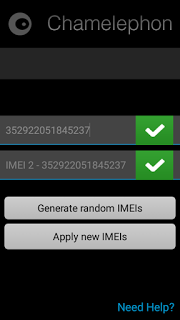 Now select either Sim 1, or Sim 2, which ever you want the imei to be fixed. Switch off your device or put Device in airplane mode, switch it ON back and dial *#06# to confirm your IMEI change. Note: This inclined that your phone must be rooted. Finally Switch off your phone for some seconds and switch On then dial *#06# to confirm imei change. Fix Unknown IMEI Baseband Version. NVRAM (backup Gotten from the same model of the device). Make sure the MTK droid tool is launched on your PC, It will detect your android device automatically and display the phone's information. That is all about How to fix Invalid IMEI number / Unknown Baseband Version, If you have any question kindly comment below.